Justice is an elastic concept. Like other terms in law, it has room to expand and contract. But one weakness burdens legal strictures that supposedly have an objective reality to them: power. Power brutish, power as a spectral force, and power arbitrarily exercised. Any reading of Julian Assange’s case must be, to that end, understood as a dynamic less of law than power. Having challenged its operations in the international system, he was bound to be its recipient. In assessing his conditions of detention on the Ecuadorean embassy in London, black letter lawyers prefer an interpretation without the influence of power, clean and clear. Focus is had on individual volition and purpose: up stakes, Assange, and face the legal music! That music remains the scoresheet of a warrant for his arrest. Such reasoning is woefully inadequate given the feathers the man has rustled. A number of states, the United States most preeminent amongst them, has demanded his pound of flesh. Mike Pompeo of the Central Intelligence Agency has admitted with refreshing candour how US authorities are considering avenues on prosecuting Assange and those associated with WikiLeaks. Having soiled many a stable with the work of WikiLeaks and disclosures of classified information, treating Assange as a minor offender, one merely deserving of a parking ticket, is entirely erroneous. But it is a view that persists, even after the collapse of the Swedish case against him. 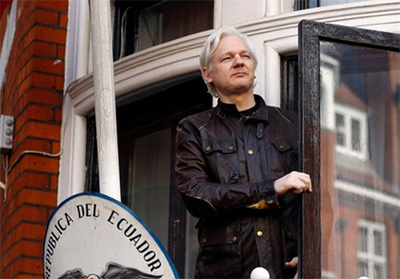 Chief Magistrate Emma Arbuthnot, taking a view shared by many members of her profession, proved inelastic in assessing Assange’s appeal against the arrest warrant. She did not, for instance, feel that the UN Working Group on Arbitrary Detention had much truck in its 2016 decision favourable to him. Assange, she was more or less surmising, was an unconscionable brat, a person who believed laws insufficient to bind him. “I find arrest is a proportionate response even though Mr Assange has restricted his own freedom for a number of years.” The arch manipulator had to come clean and descend from his Olympus. The problem with this reasoning is that the “choices” in question have been shown to be thinly manipulated grounds, notably those centred on a prosecutor’s brief from Sweden that was pursued till it expired with time. At no point was Assange ever charged for sexual offences, a niggling point that the righteous followers of positive law forget. When concessions were finally made to interview him in the Ecuadorean embassy on his Swedish sojourn, nothing of substance emerged. What did, however, lurk with sinister force was the role played by British authorities to prolong the matter. It is beside the point that Assange may leave his confines at any time. But removing a police presence before a minefield doesn’t remove the mines. He may well walk out and face the heralds of law. But the issue of skipping bail is not a standalone matter of legal delinquency. The grounds for extraditing him to Sweden have evaporated, making the issue academic. What remains is the prospect of surrender to the United States, a point that is far from negligible. Not in the least. What all three states have demonstrated are strong ties in terms of extradition, common grounds when it comes to dealing with international trouble makers. The Lauri Love decision does, admittedly, offer some room for hackers and those of Assange’s ilk to avoid the fate of ending up in the US prison system. Far from precipitating a crisis, rendering Assange or extraditing him would have been seen as the ridding of a problem, removing a chaos maker, as it were, from the already troubled soup of international relations. Charmingly for such judicial officials as Judge Arbuthnot, the rule of law remains immune from political influence, despite scant evidence of its practice.